How does low wage H1B’s affect US economy? How low are H1B wages ? Most of the hate and vile comments towards H1B visa program carry an important message, “Americans are losing jobs to cheap wages of H1B”. Let’s have a look at some key factors. Indians occupy upper Middle class of US economy, per US Census Bureau with a median income twice as of average American. Average H1B employee makes a salary of around $86,000 per annum (source) and most places this average at nearly $40,000 above median income of their locations. Also consider this US DOL sets a minimum wage of $60,000 per annum for a H1B and add legal fees borne by employer ($5K per year), also add the travel and relocation fees from India of $10K. To hire a junior programmer with minimal experience in a small town, it will cost an employer at least $75K per annum. American college graduates are feeling the pinch more than ever in the last few years, they come out of college with more loans and struggle to make ends meet. Average college student coming out of a college in US makes less than $50K per annum (source). Then why aren’t US students flocking to get these jobs? Software and IT industry is considered high stress due to its ad hoc work schedule, sharp learning curve and critical decision making. Not everyone will enjoy software development and the challenges with it. Most American’s expect a job with flexible work schedule and work-life balance, which sometimes can be tough to come in this industry. Blaming wages will help pass some laws and get some votes, at the end jobs might go to countries like India when H1B’s go back to their home countries. Unless there is a fundamental shift in education and hardwork, US will struggle to match H1B employees. The following are the Top 10 cities and their average H1B Salary (Salary should be considered as the least possible), as Actual salaries will have to be more than the LCA salaries. This list is compiled from LCA’s applied for each location for 2016 and only 90% accurate , as some of LCA’s might not end up with actual hiring. Based on data we verified many of positions showed lower LCA salary than actual salaries. Unless Department of Labor releases actual salaries we may not get a full picture. Based on the above data New York seems to be the city of choice for companies hiring H1B employees. Additionally Salary in New York is relatively low for cost of living. On the bottom Mountain View, California seems to enjoy the best average Salary for H1B employees. Places like Irving which have lower Cost of Living has an average salary around $75,000 per annum. With Trump keeping his promises with respect to other key issues like Trans Pacific partnership and Affordable Care Act, the focus is now on Immigration and H1B. The news from Trump’s office is President Trump will announce key H1B and Immigration reforms. He is likely to add stringent conditions to H1B process and possible taxes on misuse. 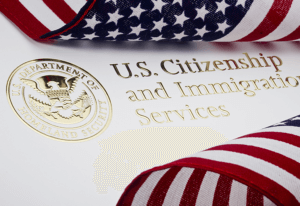 Yesterday USCIS (US Immigration Services – Organisation dealing with VISA) increased filing fees across the board for various non immigrant and immigrant applications. Possible bad news for DREAMERS and potentials immigrants from Middle Eastern Countries are also expected. There is a possibility of good news for immigrants who are on waiting list for Green Card, as Trump had promised a delegation Indian Emissaries on increasing removing cap for Immigrant applications for India and China. If this cap is lifted it will pave way for several H1B holders to become Green Card holders and eventually citizens. Currently waiting list is very high and Indian immigrants who applied for Green Card on or before 2005 are receiving their Green Card in 2017. This will also reduce H1B abuse by eliminating this VISA for these folks. Outsourcing companies are expected to be worst affected due to H1B reform with the change in Fee or salary structure expected to affect margins directly. Indian and Chines companies will be watching Wednesday’s developments closely. In near term companies in USA will also be impacted by sudden shortage of skilled or experience resources if the rule changes cause mass exodus of employees in Non Immigrant VISAs.